It's one of the awful/great celebrity moments: Marilyn Monroe singing "Happy Birthday" to John F. Kennedy at Madison Square Garden in 1962. MM! JFK! Peter Lawford, too. (He introduces Monroe with the in-hindsight deeply creepy words "The late Marilyn Monroe!," referring, of course, to her tardiness, not her fate.) Also there, at the keyboard, accompanying Monroe, was Hank Jones. Jones died Sunday, at 91. You can barely hear his playing on the video of Monroe's performance, and even then only toward the end. Any jazz fan can tell you, though, that Jones's musicianship was a wondrous blend of tastefulness and tastiness -- swinging, harmonically inventive, equally at home as accompanist and leader. He made countless records in the former role (two of the best are "Ben and Sweets," with Ben Webster and Harry "Sweets" Edison, and Cannonball Adderley's "Somethin' Else"). Over the last three decades, he came into his own as a leader. "Steal Away," which consists of his interpretions of gospel songs, with bassist Charlie Haden, is a marvel: grave, lustrous, quietly exhilarating. 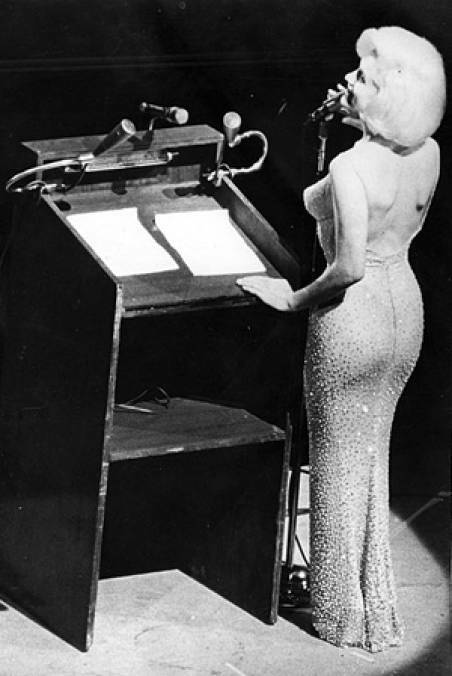 Accompanying Marilyn made Hank Jones a footnote to celebrity history (political history, too). 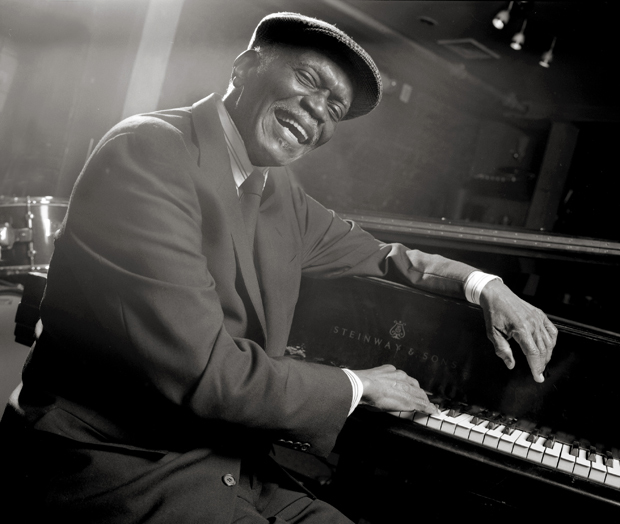 Hank Jones's playing made him much more than a footnote to musical history. Oh, and Samuel L. Jackson plays him in the movie.